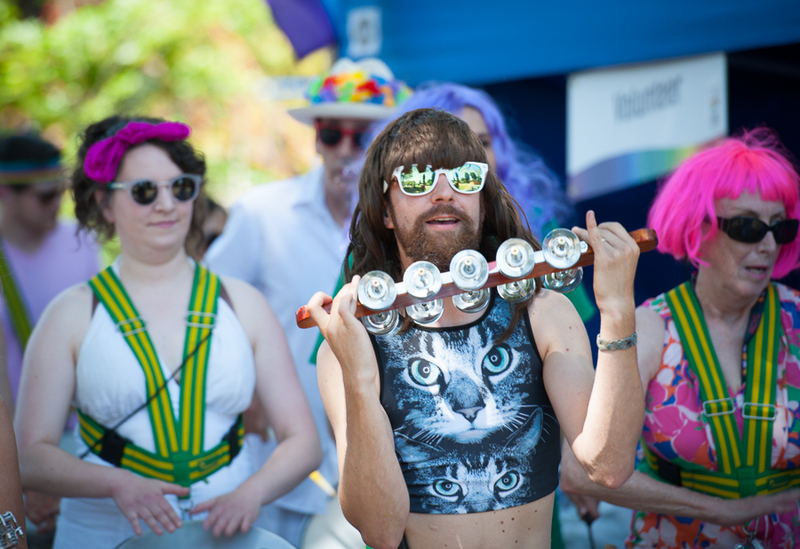 I knew it was going to be a joyous and colourful day at Vancouver Pride's East Side Pride event. This was my first time attending the event and I spent most of my time flirting and reuniting with folks I hadn't seen in awhile. Here's a few shots I did get in between the festivities. I donated my time, energy, love, etc. to photograph this event at the Listel Hotel, and I really want to thank Qmunity for the opportunity to do so. It was lovely. So lovely. See the full album HERE on Qmunity's Facebook page. "We stand strong together in support of every person’s right to love who we are meant to, be who they want to be without fear of prejudice. 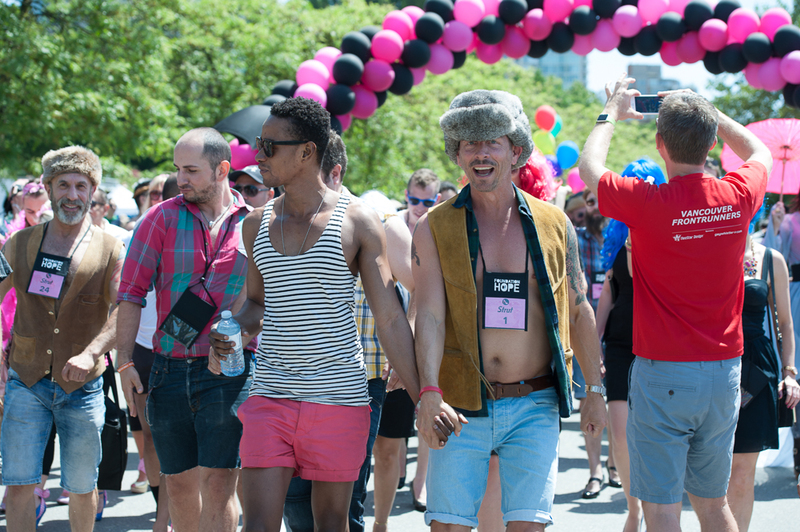 Join us and walk a mile in high-heels to fight for LGBTQ+ people around the world." 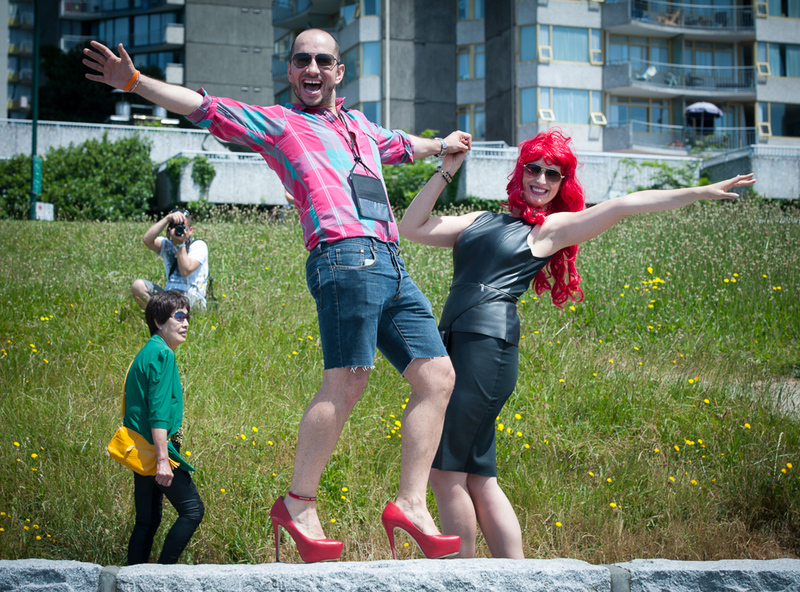 100's of folks strutted their stuff at Sunset Beach June 6th to raise funds and awareness for LGBTQ refugees. 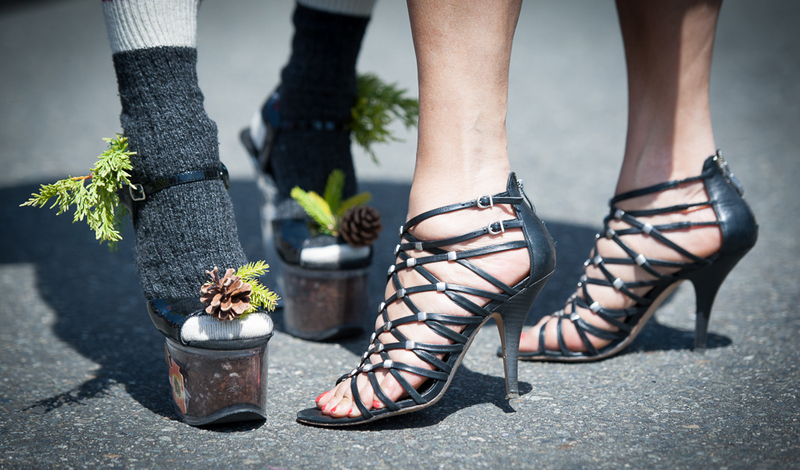 The newly founded Foundation of Hope’s first fundraiser was a walkathon with participants walking a mile in high heels! An amazing $45,000+ was raised at the fabulously successful event. Every day I wake up grateful for the privilege to be my authentic self in this beautiful city and country. It was wonderful to be a part of raising funds and awareness for folks who do not live with those same privileges. 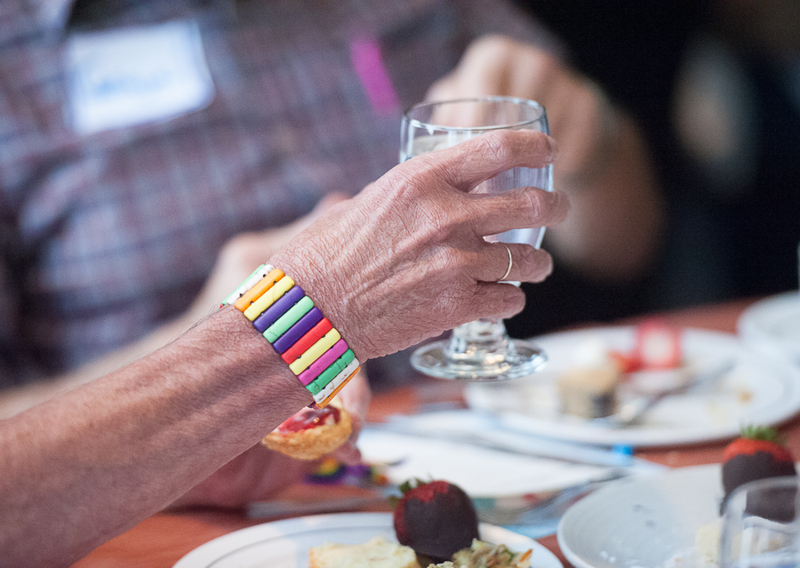 Thank you to the Foundation of Hope for existing and assisting LGBTQ refugees, asylum seekers and newcomers. Click this LINK to see the full album on Facebook. 100 metres of fabric, 25 fabulously draped singers, 4 hair stylists, 7 makeup artists, 4 set stylists, 2 shoot assistants and one photographer. That is what it took to create this incredible 2015 promo image of Vancouver's classically trained Choir Cor Flammae. And she is. She literally stops traffic!! 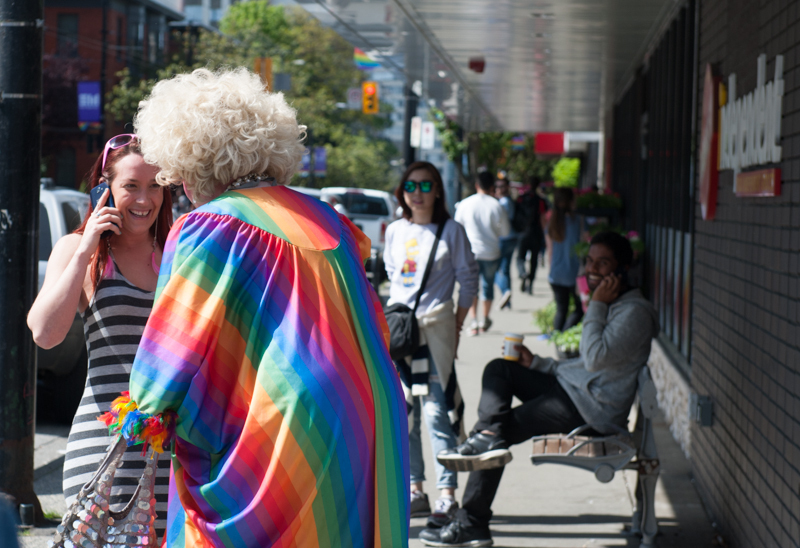 The West End BIA asked me to share what I love about the West End on their Instagram account for a week. I'm a Main Street girl but I spend a lot of time over there. 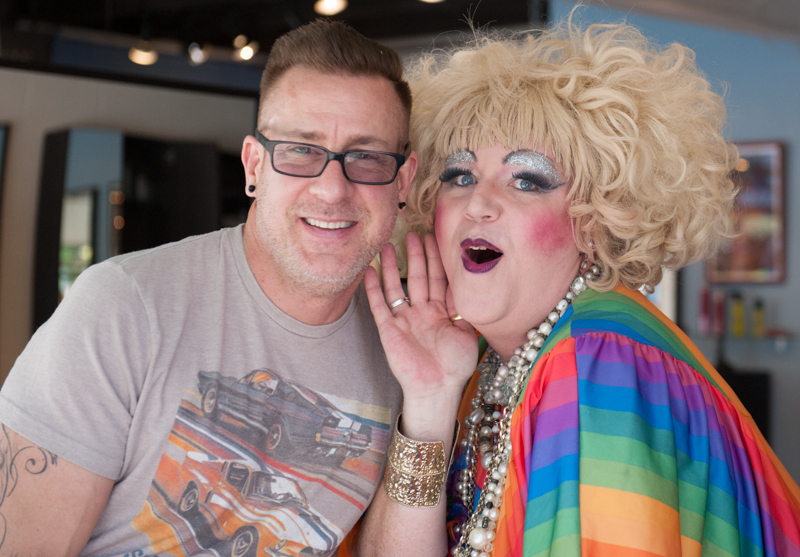 It's always fun to have company on an outing so I asked my friend Conni Smudge along after her regular Hott Smudge Sunday Brunch at the Junction. 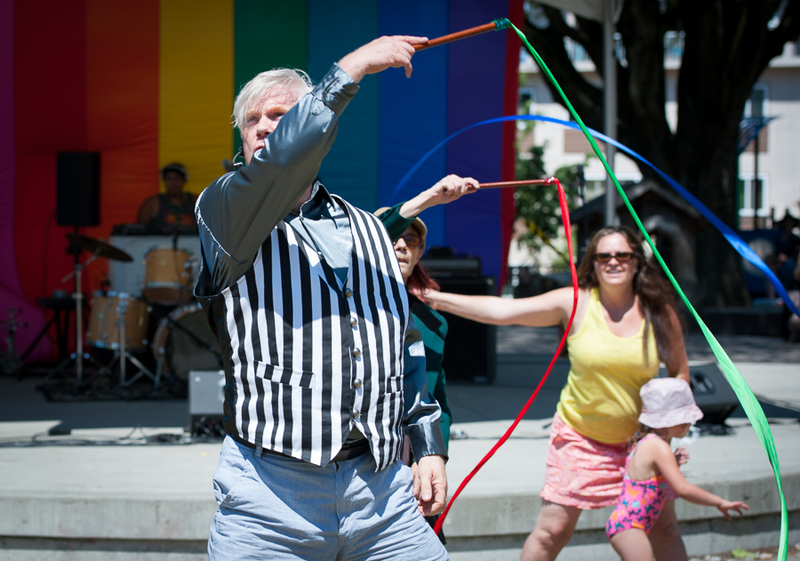 Follow me on Instagram @belleancell for more images from my wonderful LGBTQ community and my Vancouver life. 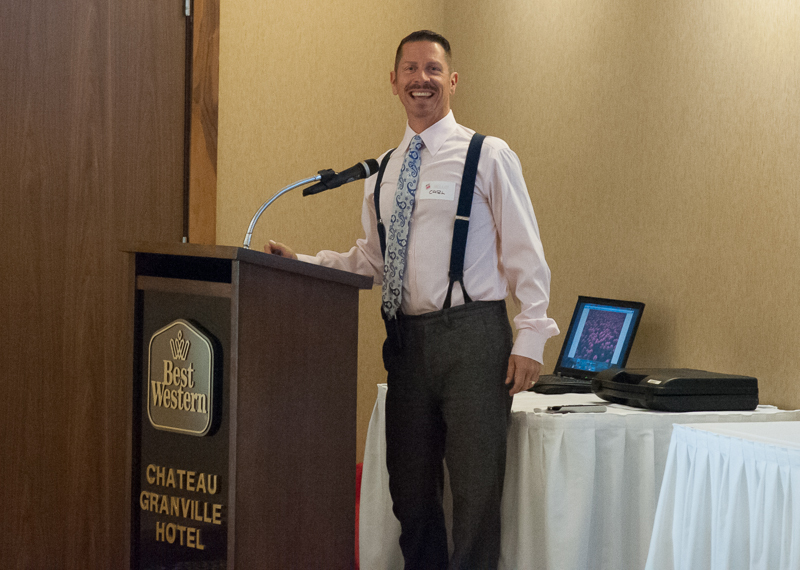 I joined LOUD Business (Gay & Lesbian Business Association of BC) on April Fools day 2014. However, I am no fool. Becoming a LOUD member was one of the best decisions I made for myself and my business last year. 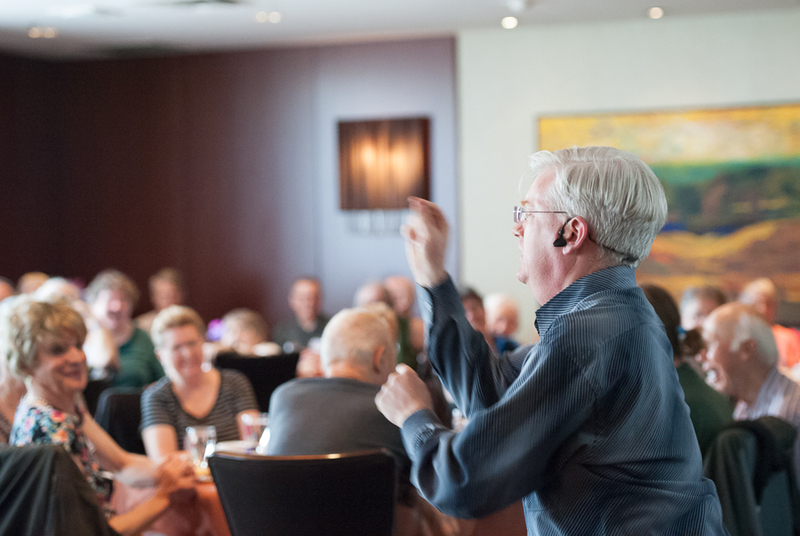 Being in LOUD has enriched my feeling of belonging to a community that cares and supports each other. I have made strong connections and some dear friendships within LOUD and I look forward to those connections and relationships deepening. 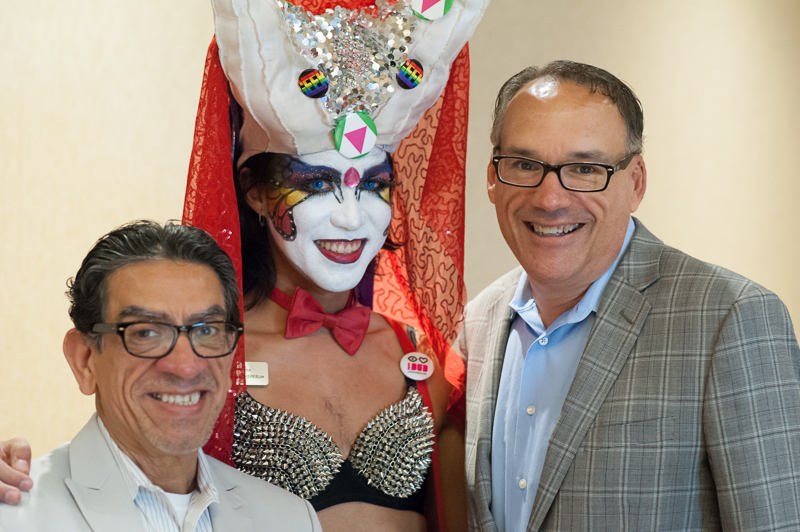 Below are some fun shots I took at the LOUD Luncheon in February with the Sisters of Perpetual Indulgence and the Foundation of Hope in attendance. I always say each new photo shoot is the funnest shoot ever, but this one really was, when I photographed the ever so lovely and naughty Linda Fillmore for her 80th birthday feature in Xtra newspaper. 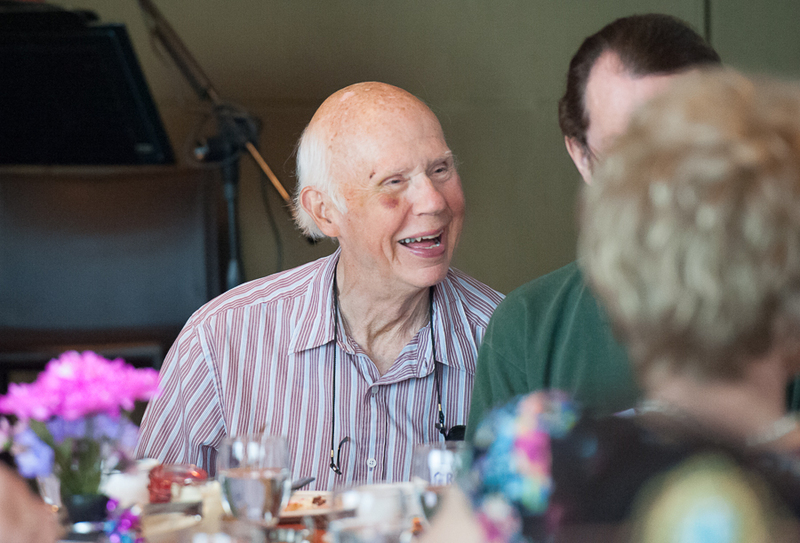 Linda is the Matriarch of the Fillmore Family Foundation. The Family is a non-profit foundation that raises money for organizations such as Out in Schools, A Loving Spoonful, Camp Out and McLaren Housing Society. I posted last month about the raucous Prairie Fairy Fowl Supper event the Family puts on each fall to raise these funds. This was an amazing experience as it was the first time I 'pitched' a cover and story idea to Xtra and they accepted. I wanted to honour all that Linda Fillmore and her Family have done for our Community and create some beautiful images for her. We all had a blast in the studio and even did a 'Commando' run out to the Bull Statue downtown. You're in good hands Linda Fillmore. I'm aging myself, but does anyone remember the series Dallas? Such wonderful folks to play with.